When you’re sitting aboard an airplane, 35,000 feet high, being able to enjoy a cocktail seems a tad out of reach, no? Not anymore. With the Carry On Cocktail Kit, you can prepare an Old Fashioned or mix up a Gin and Tonic in a jiffy. A compact kit with a chic design, it contains all the necessary ingredients to make the chosen cocktail; with the exception of hard liquor and ice for obvious reasons. It’s lightweight and can be easily carried it in your handbag. 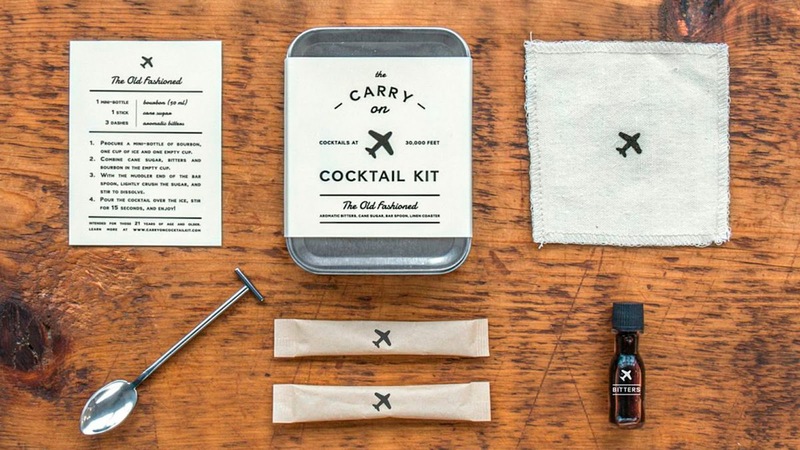 The recipe of the Carry On Cocktail Kit was concocted by W&P Design and Punch, two cocktail-obsessed companies based in Brooklyn, New York. The kit contains the following and costs $24. You can buy it here. Hi! Your blogs are amazing reads. I enjoyed reading each one of them; they are very much informative as well. Also, I would like to invite you to read mine on http://blog.antilogvacations.com/. It would be a pleasure to know your opinion on the same. Thanks! Copyright @ Ruchika Vyas for Traveller Stories. All Rights Reserved. Simple theme. Powered by Blogger.